Fairuz (aka Fairouz,Fayrouz, Feirouz) is great. Born Nouhad Haddad, her stage name means turqouise. This album is more these shorter Western style songs than the usual eight minute jams. 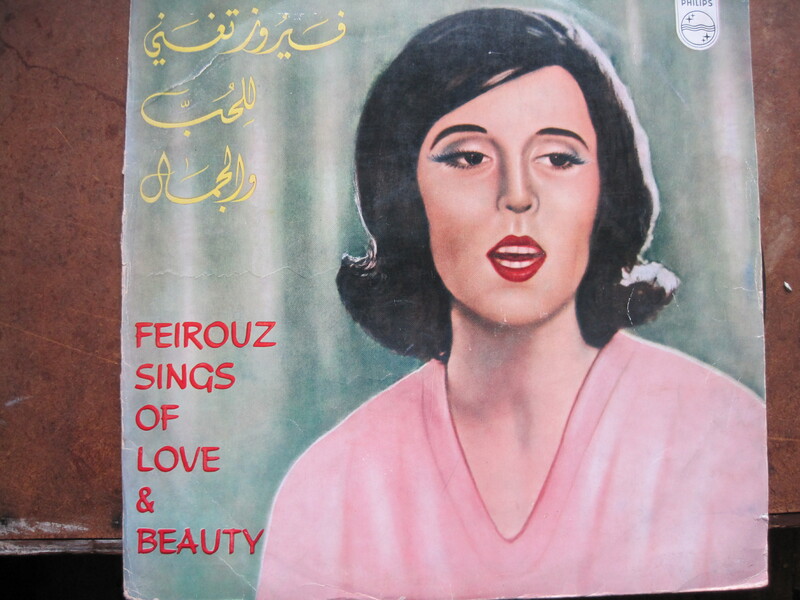 She has a rad nickname “Neighbour to the Moon.” Like most great singers, Fairuz was once banned. The incident, in 1969, was her refusal to play a personal concert in honour of the visiting Algerian president. The ban lasted six months and only served, of course, to increase her popularity. Her early career was intimately linked to the songwriting team of the Rahbani Bros. who composed or arranged hundreds of popular songs, a few operettas and three motion picture scores for her, as well as all the songs on this album. She married one of the brothers, Assi, in 1955. This album has no date but I would guess sometime in the mid to late 1960s, purely as a guess from the album cover design and stock. It was released as a Phillips/Lebanese Recording Company co-release and for some reason manufactured in Holland. My favorite track titles are Song To My Vine, Tell Me: Lovely is Your Dress and Suffering Love. 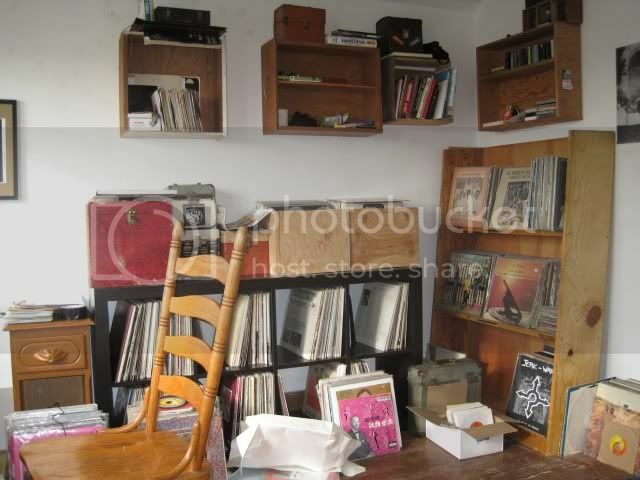 You are currently browsing the Backroom blog archives for April, 2010.